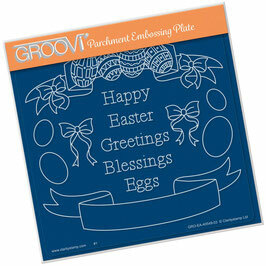 The end result is quick, crisp and clean. Matching Stencil available here. 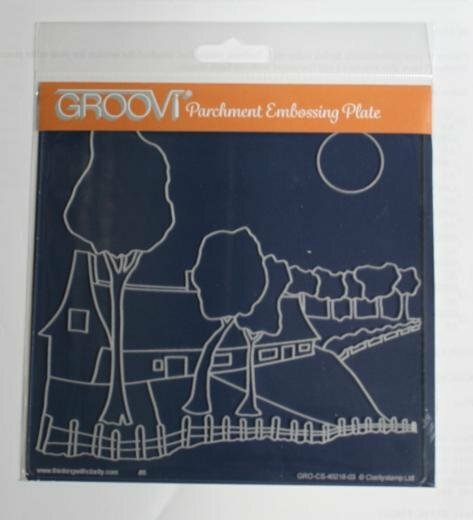 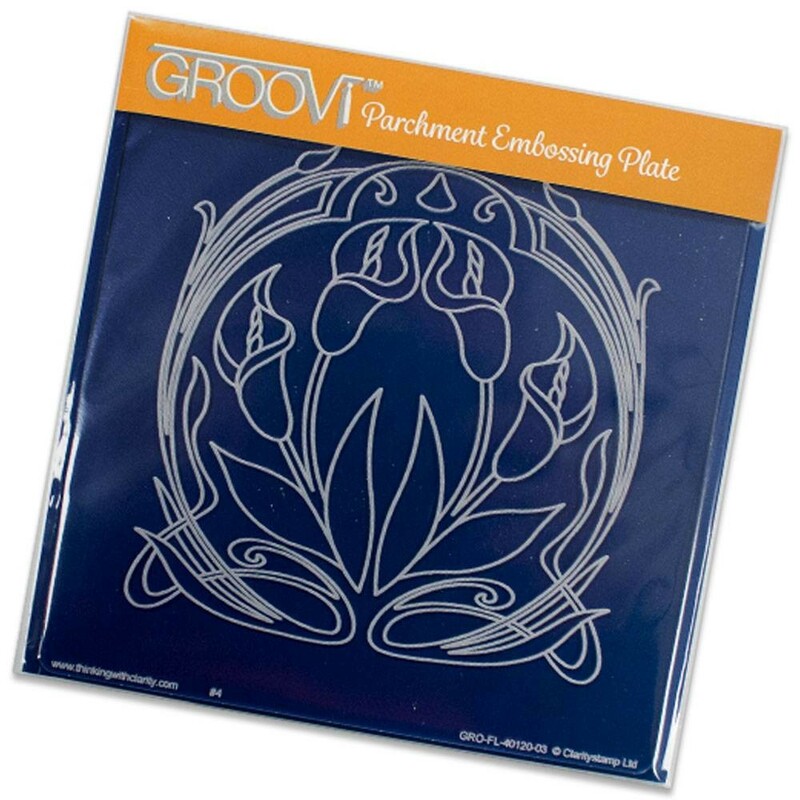 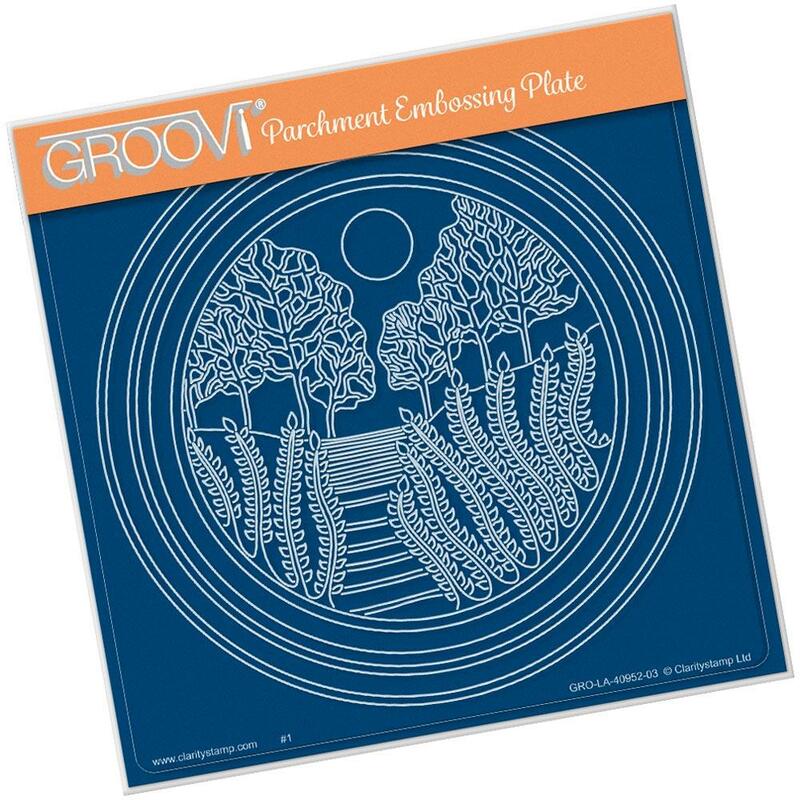 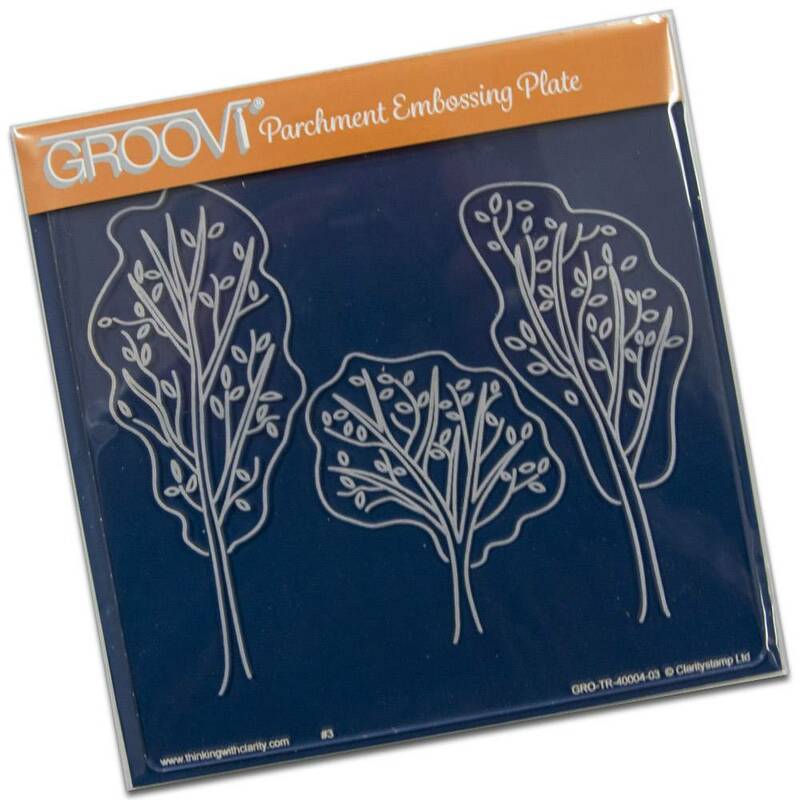 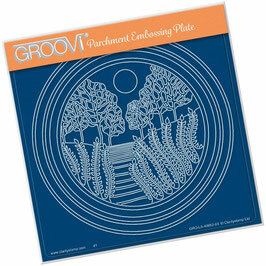 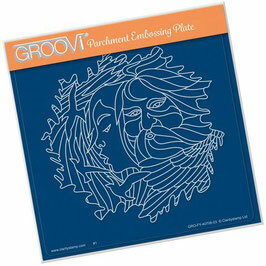 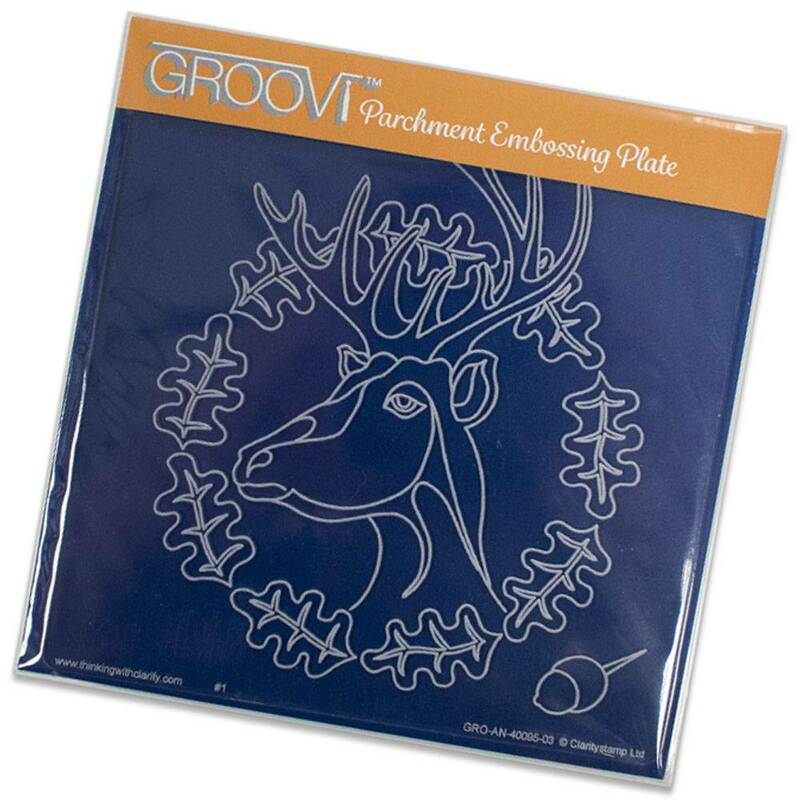 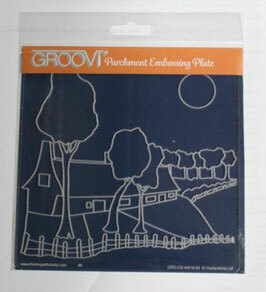 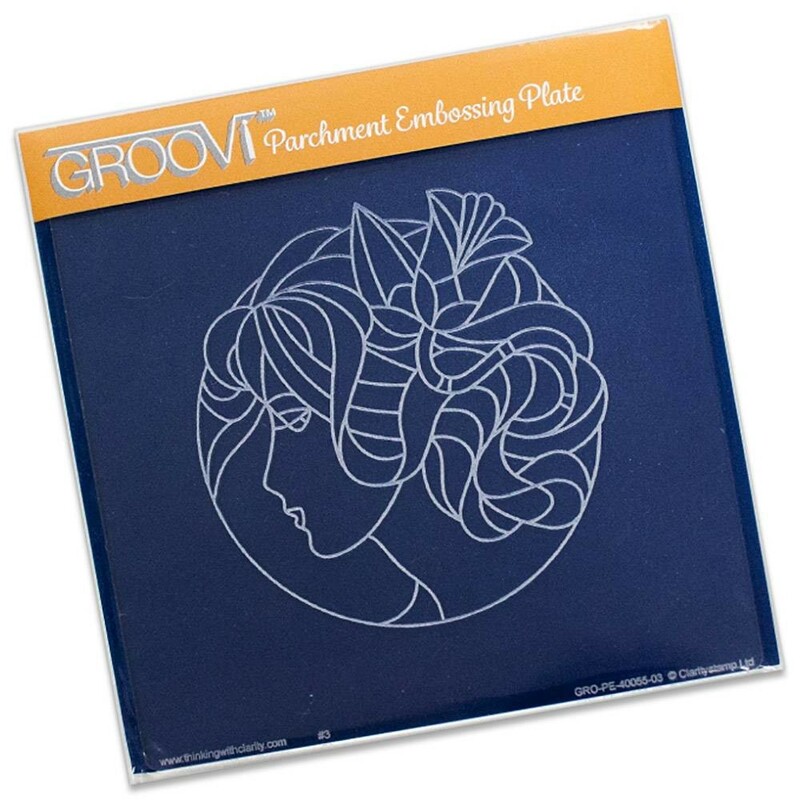 A beautiful fan motif that you can design yourself using the options in the Groovi Plate. 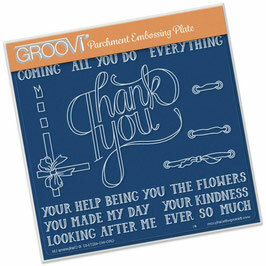 Pretty Peonies. 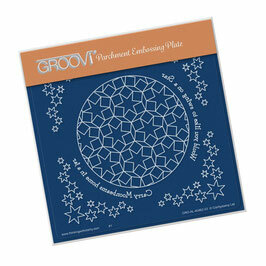 Use the motifs separately or in combination to suit your project. 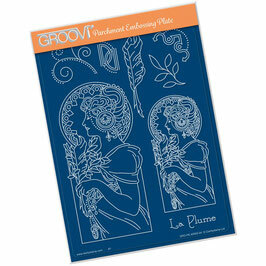 A charming design of three wrens on a bush. 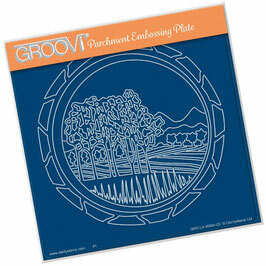 A musical score, notes and decorative piano keyboard. 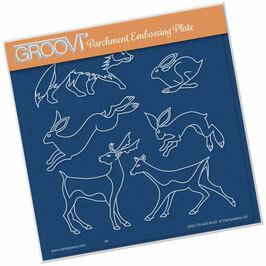 Use the motifs separately or in combinations to suit your project. 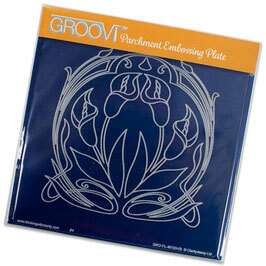 Art Nouveau designs are always popular and look beautiful. Madeleine is an absolutely stunning Art Nouveau design. 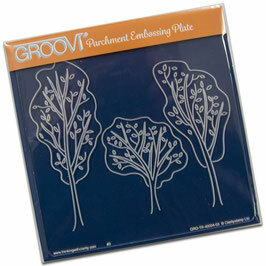 Wild flowers - use the flowers as they are or just the individual flowers and leaves. 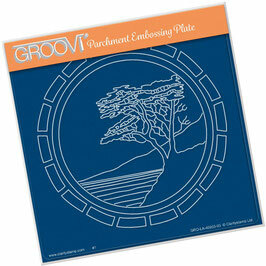 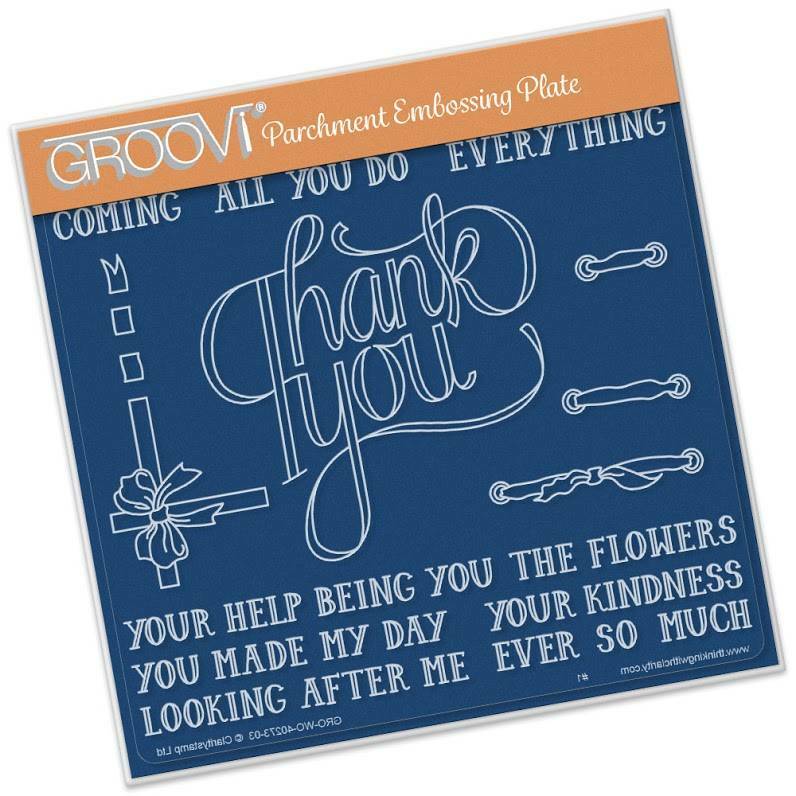 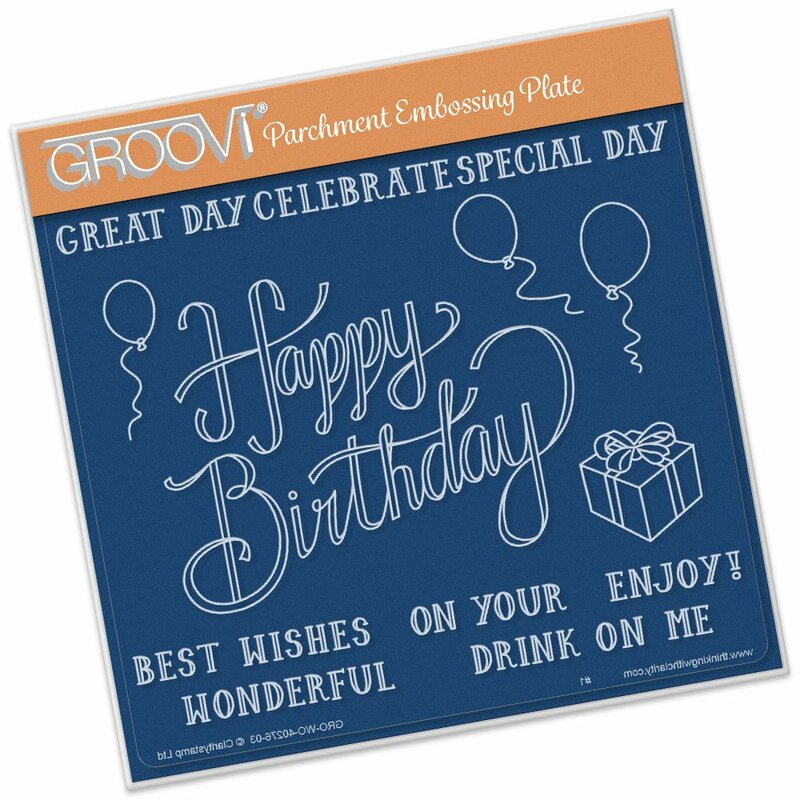 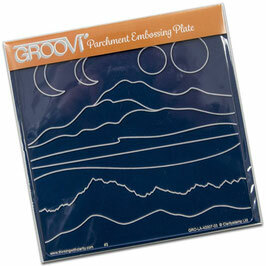 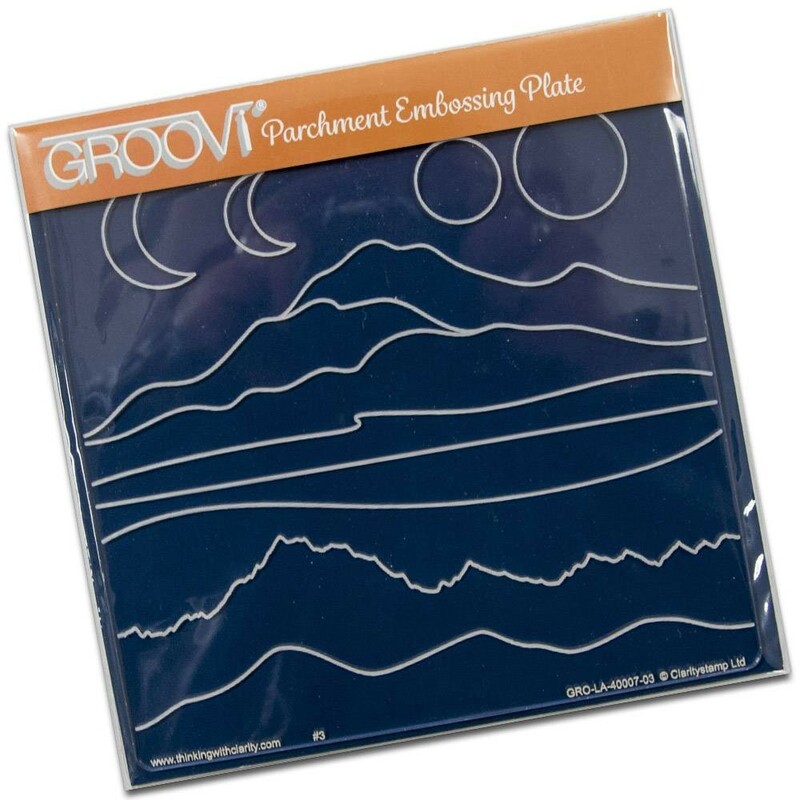 A very versatile Groovi Plate . 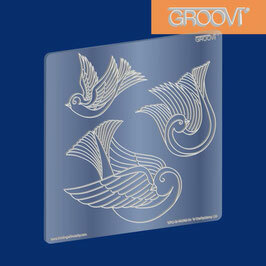 Three doves, can be used for card making projects for Christmas, Weddings, Peace and more.